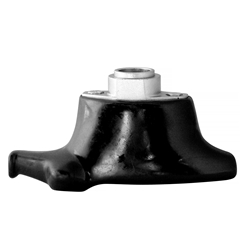 Plastic Tyre Changer Mounting Head compatible for use with some SICE make of Tyre Changers. Plastic Head Protects Alloy Wheels from damage. Complete with metal attachment flange which fits a 28mm shaft. All measurements are given as a guide and are approximate. For other UK areas and for overseas/exports please contact us for a delivery cost before ordering. VAT and Delivery will be added at the checkout.